Description Printed in sepia. Size 36cm x 44cm (14" x 17"). 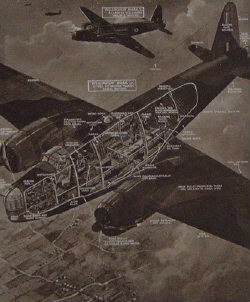 A diagrammatic picture of an aeroplane equally famous in attack and defence.